Thank you for ordering The Bookshelf’s “Media Blast” package for the 2019 event. It is our goal to help you spread the word about your books/wares over the next several months leading up to the day of the event. We will strive to publicize you and/or your product approximately 5+ times between Nov 2018 and May 2019 – across all of our active social media sites: facebook, twitter, tumblr, & G+. 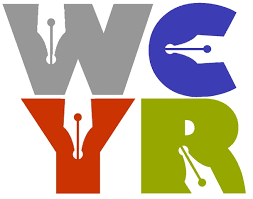 Since this is a not-for-profit event run solely by volunteers (associated with the WCYR – Writers’ Community of York Region) we would ask for your help in developing 2 different posts that we may use for these “Blasts”. A “text heavy” post is where most of your vendor info will be on display via text. We ask for a casual image of you with your product and a small banner/logo. The text you provide should be between 150 – 250 words about you/your product and being a part of The Bookshelf 2018 Event on TBA. This should include a portion of an image from a cover of your book, series image, or best-selling product. We will then turn it into an image-graphic (like a meme) with your book’s/product’s “hook” or “slogan” (the 1 long or 2 short sentences that encapsulate you and/or your wares). Please email your Social Media Blast Pkg content to the Event Coordinator. Include up to 3 individual book covers for inclusion in our genre blasts. Be sure to “like” our facebook page, twitter site, tumblr, G+ and other platforms (see the home page on our website as we add new sites) to see when your info. blast happens each month.